Unless you’ve been living in a country with slower internet speeds than Australia, if indeed there are any, then you’ll be aware there is a new Mission: Impossible film hitting theatres at the moment. And because you are reading this on BMWBLOG I’m going to go right ahead and assume you are across BMW’s involvement with the M:I franchise and the fact the new film, Mission: Impossible – Fallout, features not only the new F90 M5 but the ‘80s executive staple, the E28 5 Series. This is of huge interest to me as back in the ‘80s my dad had one, and much more recently I also owned an E28, a really cool one, and then I went and sold it and now… well… I wish I hadn’t. It was a 1983 528i Motorsport edition in Polaris Silver. 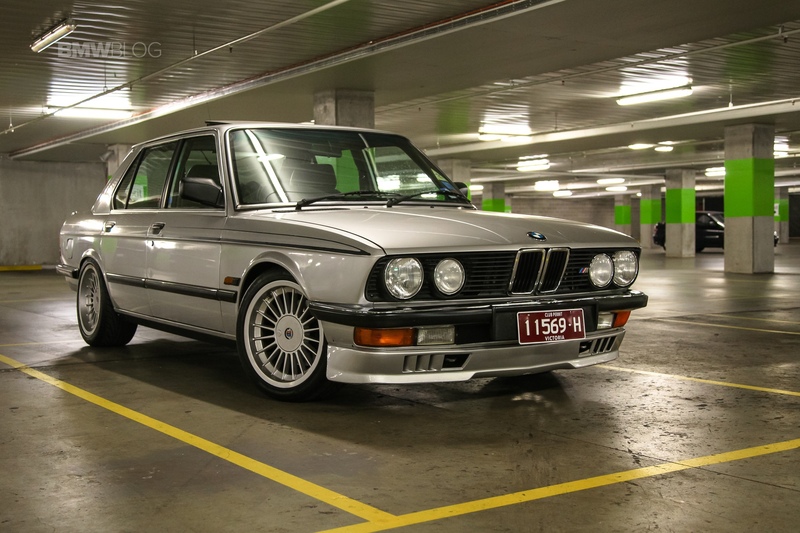 An Australian-market special, the 528iM pre-dated the M535i and helped promote BMW’s local touring car success at the time. When new, it cost A$37,000 which, when accounting for inflation is about A$110k, or what you’d currently pay for a new 530i M-Sport. The recipe was simple enough. Take a base, 5-speed manual 528i, throw in Bilstein suspension, an LSD, Recaro seats and matching Pfeba front and rear M-Tech spoilers. Paint it red, white or silver, add tricolour M decals and let it roll on a set of 14-inch basketweaves. My car had a few extra tweaks, by the way of a high-compression 3.5L M30 conversion, custom exhaust and the staggered 17-inch Alpina rims. It was no show winner though, and suffered from a cracked dashboard, non-functional ABS and air conditioning, some mild rust below the rear window and continental sized patches of missing clearcoat on the roof and bonnet. But man, was it cool. Or at least, it was cool to me. You see, at the time I owned it, the E28 wasn’t really the ‘darling’ of the classic BMW set. I’m not saying it was E36-level unpopular – maybe more in that sort of obscure E23 territory – but whatever the case, its two bookend siblings, the E30 and E24, were taking all the market attention. While this made the 5er a more cost-effective ‘classic’ to buy, it meant there simply wasn’t enough ‘investment’ bargaining power for me to justify putting money into restoring it, against buying something newer and more family friendly. So, although I loved it, in terms of public ‘cool car’ consciousness, the E28 just wasn’t on the radar. Like an aspiring actor, it needed its breakthrough role. In Hollywood context we had seen the second-generation 5 Series on screen before. 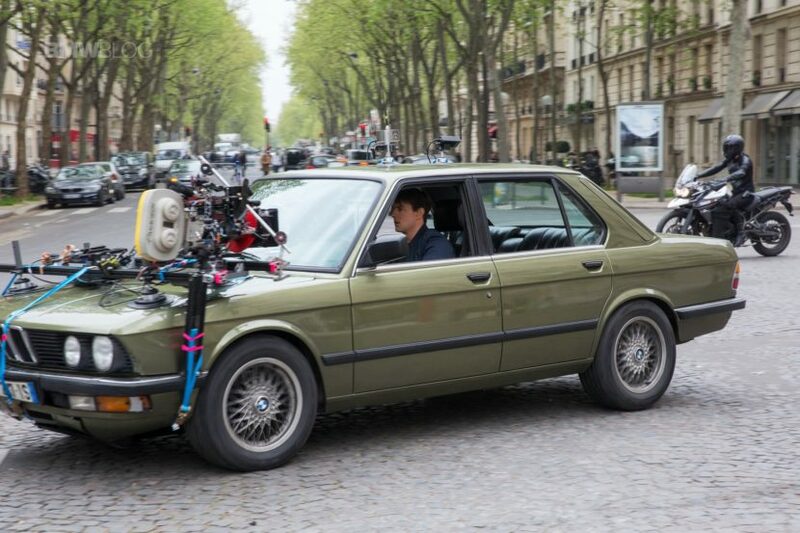 Hell, Ashton Kutcher even makes a point about driving an ‘old BMW 5 Series’ in Friends with Benefits, and what greater honour can be bestowed upon a movie car than to be stolen by Jason Bourne? But there is a difference between a bit-part and a headline act. To the broader universe, the E28 was a generic 1980s European sedan. A car to be driven by small-business-owner Tom Hanks in Splash, or a squad of Russian henchmen in The Peacemaker. To get top-billing rights, the classic 5 Series needed some star power. It needed Tom Cruise. And, as the guys over at Jalopnik have noted, this will more than likely push prices up, and make rare, hard-to-find cars even rarer and harder to find. Case in point, there is an Arktisblau 528i Executive for sale near me at the moment, near identical to the car my father owned in 1984. The problem is, the asking price is pushing close to E39 M5 territory, and well, I think we all know what we’d do. But it isn’t the expected rise in value that makes me miss my car, far from it. The issue is that every time I see the M:I trailer on TV I feel an emotional pinch that reminds me of just what a fabulous car it was. That generic 1980’s European sedan is now a fully-fledged movie star, and I couldn’t be prouder. The nostalgic buzz of seeing Tom yank on the handbrake, sending the 5er into a smoke-filled slide ignites fond memories of those times I would yank on the handbrake and send the car into a smoke-filled slide. He in Paris, me in a quiet industrial estate in Port Melbourne… so you know, the same. I bet his heater didn’t work properly either. Bottom line, the rest of the world now knows what many of us have known all along. The E28 is a really cool car. From the sweet purr of the big-six, to the high glasshouse and iconic sharknose, it is a timeless design matched to a capable and enjoyable drive. Thanks to Mission: Impossible – Fallout, the E28 has finally received the same deserved billing and recognition as its period 3 Series and 6 Series market co-stars. And for that, we should all be happy. Oh, and what of the polaris E28? Well thanks to Instagram, I am in contact with not one, but three subsequent owners, all of whom have made their own mark on the car. Its current custodian has jumped in at the deep end and bravely taken on a range of mechanical and cosmetic projects that should see the silver shark in its best condition in decades! And to be fair, if anyone deserves to benefit the new wave of E28 popularity (and value), he does. I say yes… but I don’t think it would be the same. An original M5 or Alpina B9 is out of my ‘weekend project’ price bracket, and any other E28 would be forever measured against the radical stance of the Polaris car. To be honest I think I’m better to fondly remember what I had, and maybe hedge my bets on what Bavarian icon Ethan Hunt will set his sights on next. To all current E28 owners, well done for keeping the faith, and don’t forget to enjoy what you have. I’ll be thinking of you when I finally get around to seeing the new movie! Do you own or have you owned an E28? How do you feel about the model’s new attention? Share your thoughts in the comments below.